The 2013 Kia Rio is a great sub compact car that offers a great trim with plenty of features to add. Kia has made quite a name for its self over the years and continuing that with the 2013 Kia Rio. Quite a popular subcompact amongst buyers and those that have bought or tried them have come to love them. Coming in under $15,000 to start this car packs quite a bit of features. The Rio went through a redesign for the 2012 models, to which most buyers loved, and the 2013 hasn't changed much from that. Keeping with overall the same design and feel for the Rio it is easy to see why many rate this one of the better subcompact vehicles. This is one of the vehicles to look into if you're goig to look for and buy a new car this year. Featuring like many in this class a 4-cyl engine aimed at being both economically and environmentally sound. This does provide the Rio with a solid 29 city 37 highway MPG which is fantastic for a car in this price range and class. Rio's in car tech is up to date with Bluetooth, USB, and it also has the option of coming as a hatchback or sedan. This car comes packed with features, and optional features, to satisfy a variety of possible drivers. With all the available options for the Kia Rio that you won't be disappointed. 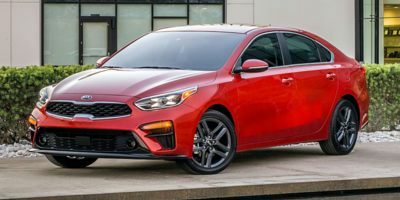 Ranging from the starting base trim for the manual transmission of $13,340 you can quickly rise up to a $17,700 vehicle. However at the SX trim level you get all the best the Rio has to offer most noticed would be the 17" alloy wheels which is only available at this trim. The great thing is all the safety features packed into the base trim, are the same throughout all the models. So if you can't afford the higher price tag for the luxury items then you aren't missing out or getting a car that isn't as safe. Performance wise you'll see a difference, but how much will vary per person. 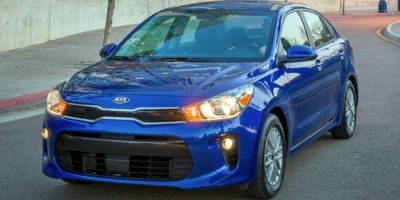 Until the top end trim the Kia Rio stays consistent with it's tech giving you a 6-speed transmission with a 4-cyl 1.6L engine. You won't be drag racing the Kia Rio stock anytime soon, but you do get more solid tuned suspension. Not to mention plenty of amenities in the car to accommodate just about anyone. It performs well for traffic on highway situations, but like most of the cars with these 4-cyl engines it isn't going to top out quick as other engines. However you'll love the savings you see with the fewer gas station stops. Overall it rides well for a car in this class, and it's power is pretty standard for this size vehicle. With most interiors in this class of car it can range from a full luxury supreme pack, with obviously a price increase, to pretty basic. Having standard USB and Bluetooth connectivity throughout all the base and premium packages, but going for a better in car stereo and infotainment system will come at a price. Not to mention going up to the point to have a leather interior and all the luxury trimmings will be available at the top-tier trim. The exterior of the Rio can change right from upgrading to the SX trim, with the option for alloy wheels rather than steel. However it isn't until you get the EX package you get the option for 17 inch rims over the standard 15 inch. In any case it is a noticeable difference with more visible metal trimmings over plastic throughout the trim levels. The Kia Rio stays fully safety feature packed throughout all trim levels. Giving you all the standard mandatory vehicle safety features, and adding in some nice optional alternatives. More in the line of convenience things like rear cameras and such. The electronic assistance systems don't feel as jarring as some competitors. Not having a sluggish feel when controlling the vehicle, some may say it feels as if the electronic control systems aren't there at all. 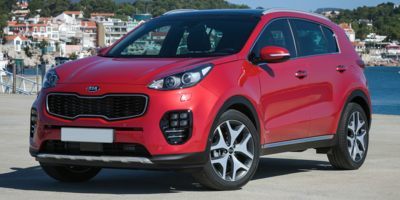 However standard stability and traction control systems are available, with plenty of side and front air bags in case of an accident on any side of the vehicle.